Europe has some of the prettiest small towns and little villages in the world. But which small towns in Europe are the most beautiful? Obviously I have not visited every town in Europe so I decided to ask my fellow travel bloggers to help me pick the most beautiful small towns in Europe. If you are looking for travel inspiration for your next trip to Europe, read on for some of the best small towns in Europe that you need to visit. 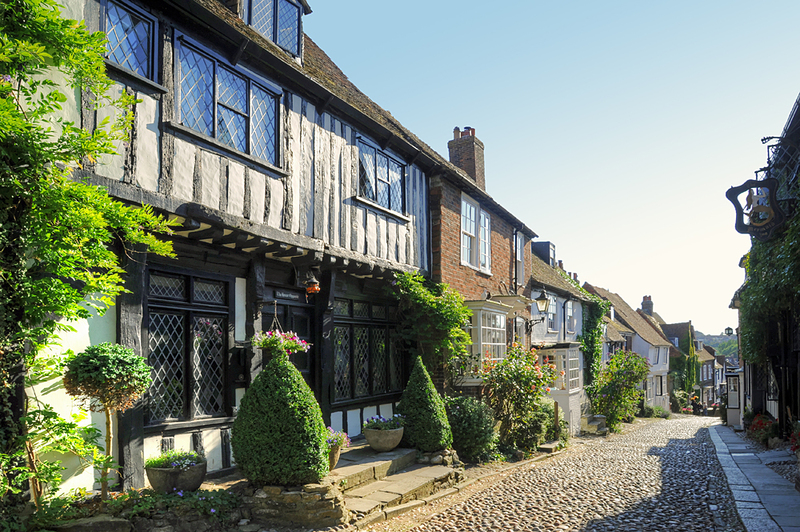 The medieval hill-top town of Rye in East Sussex is one of the prettiest towns in England. Wonder down its cobbled streets lined with Medieval, Tudor and Georgian architectural gems and you’ll feel as if you’ve been transported back in time. Mermaid street, pictured here, is particularly enchanting. Discover quirky antique shops, galleries and craft shops and then relax in one the many tea rooms, traditional pubs or fine restaurants. The Mermaid Inn, which dates back to 1156, and The Olde Bell Inn are said to be connected to each other by a secret passageway once used by the notorious smugglers, the Hawkhurst Gang in the early 18th century. Rye is a wonderful town to visit for the day (it’s just an hour and 20 minutes by train from London’s St Pancreas International Station) or for a longer stay to explore this lovely corner of England and 1066 country. The impressive Bodiam Castle and the towns of Battle and Hastings are all within easy reach, as is the beautiful English countryside and many lovely villages. Visby’s medieval construction reached its peak in the 12th century, and has seen little change since. Visby’s unique background and architecture style is a blend between the culture of the Vikings and that of the Hanseatic (German trading league). You can see the evidence all over the island: the ruins of medieval churches, the well preserve city wall, and the not to miss Gotland Museum with its priceless Viking treasures. 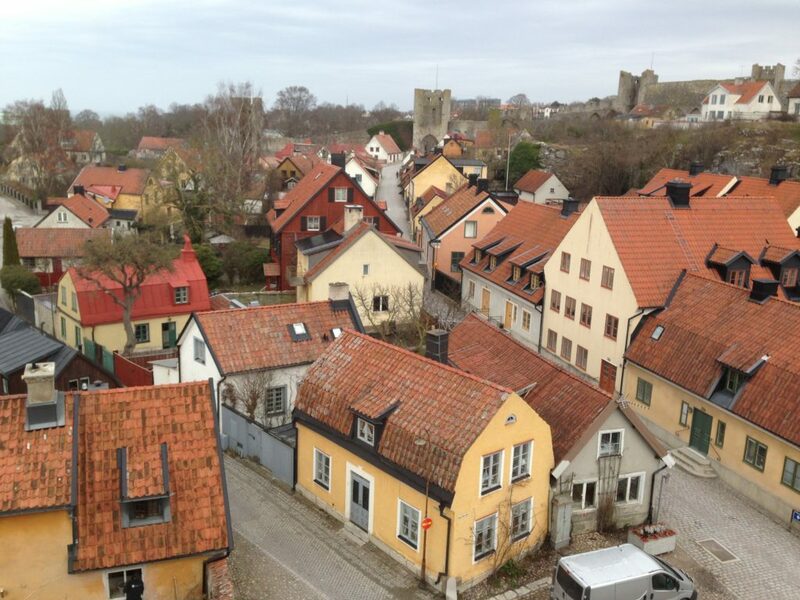 Today, Visby is considered one of the most well-preserved medieval town in Europe. UNESCO made Visby one of its protected World Heritage Sites in 1995. 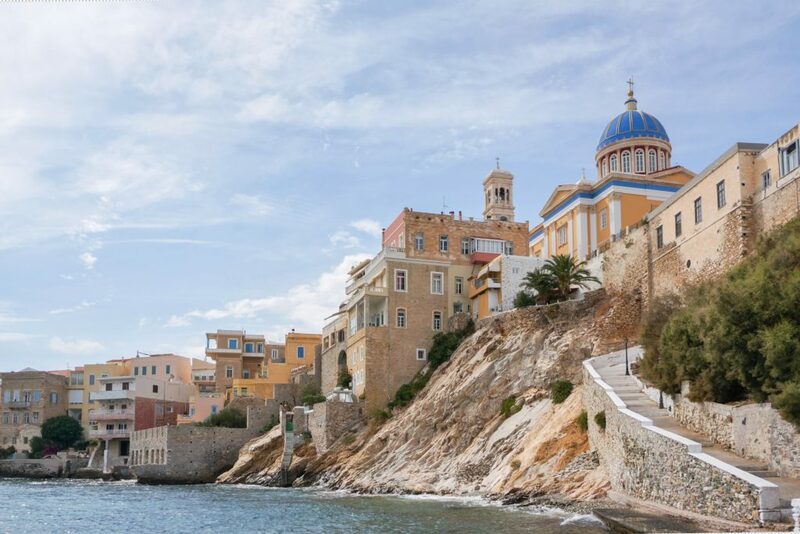 Located in the island of Syros, Ermoupoli is the capital of the Cyclades Islands and one of the most beautiful Greek towns. It was built on a hill overlooking the port, and the first thing that greets you as you approach the town by ferry is the pastel colours of the buildings – a dreamy sight. And once you start exploring the town, the narrow streets are just what you imagine when you think of an idyllic Greek town. Make sure you visit the Vaporia district, in the eastern part of the town. The impressive neoclassical mansions used to be owned by wealthy ship owners, and some of them are now boutique hotels, so you could even stay in one. And like every good Greek town, there are lots of cats roaming the streets here. In fact, the cats are very well looked after in Ermoupoli, they even have their own dedicated cat garden! The mountain town of Bansko is located just two hours from Bulgaria’s capital, Sofia. It’s an easy drive or bus journey through the increasingly lovely countryside. The town, which is Bulgaria’s biggest ski resort, sits on the edge of the Pirin National Park. Old Town Bansko has picturesque cobbled streets, cosy wooden and stone built mehanas (restaurants) and a slow pace of life. There are spectacular views of the mountains and down the valley below. 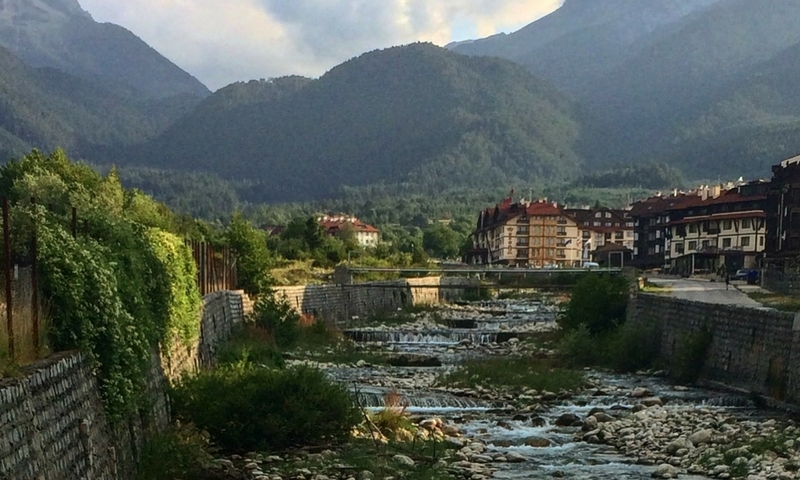 Follow the Pirin River up into the mountains for a great walk. You’ll find glorious mountain lakes within an easy hike, hot spring pools in the depths of the forests provide a way to ease aching legs. While the region of Interlaken is one of the most popular among tourists in Switzerland, a little town known as Thun is not as well-known though it is a beauty that should be on every Switzerland itinerary. Located close to Interlaken, in the canton of Bernese Oberland, this town with less than 50,000 inhabitants is home to several beautiful castles that you have to visit. One of the castles is the Schadau Castle which you can reach after a 15-minutes walk from the town center. 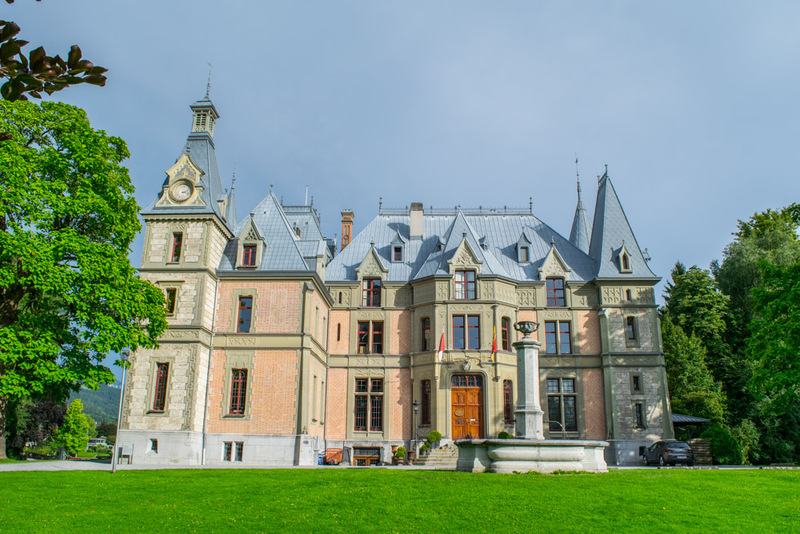 Pass beautiful Lake Thun to get to this pretty, pinkish castle which is also a perfect spot for a nice picnic. One of the best views of the famous Swiss Skyline – the three mountains Eigner, Mönch, and Jungfrau – is to be seen just from behind the castle. The view of Lake Thun with the Swiss Skyline is just breathtaking. But there is more to see in Thun: Stroll along one of the most beautiful rivers, the Aare River, or explore the medieval old town, visit more lovely castles, like Oberhofen Castle or Thun Castle, or or or. There is a lot to see in this beautiful town. Located outside the Budapest metropolitan area, Szentendre (St. Andrew) is a charming little Hungarian town known for its cute houses and many churches. Oh, and the Marzipan museum! The easiest way to get to Szentendre is via HEV from Budapest. Even if you have a travel card, you need to pay an additional fare as you travel outside the metropolitan area. The trip takes about 45 min and you need to take the H5 from Batthyány tér (on metro line M2, red). 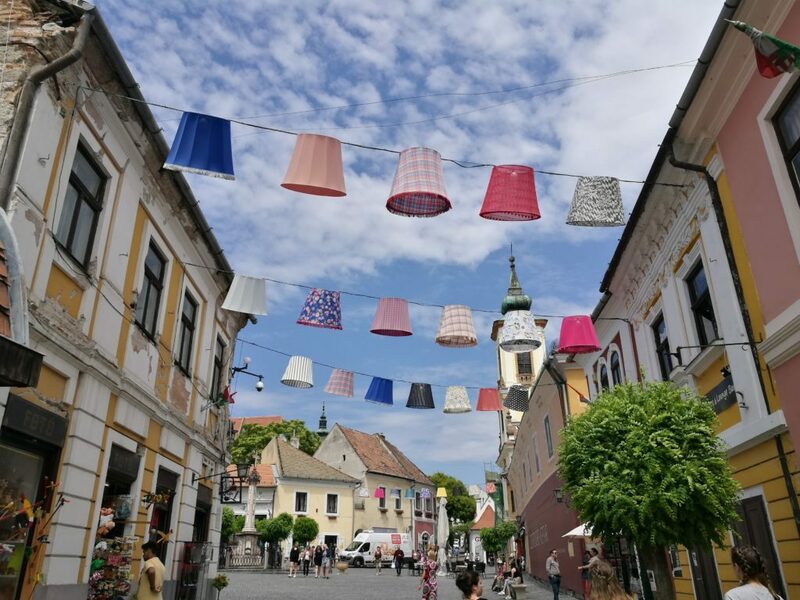 What to do once in Szentendre? Walk, take photos, walk some more, stop for a meal, and take some more photos. There are signs which show you how to get to the downtown area from the HEV station. It’s an easy 10-15 min walk. The houses are cute and there are either museums or stores in them. You shouldn’t miss the small but interesting (and colorful) Marzipan museum. Plus, there are a lot of churches to check out and take photos of. Szentendre is located on the Danube so there’s a cute promenade area to check out, too. READ: Looking for more beautiful towns in Europe to visit? Here out our list of the most beautiful towns in Europe straight out of a fairytale. Ijlst is a beautiful city in the province of Friesland, The Netherlands. It is quaint, small and authentic. And the best part? There are barely tourists. Dutch people rarely visit the stunning city of Ijlst, so let alone foreign tourists. When I was exploring Ijlst I found that one of the best things you have to do is visiting the so-called ‘overtuinen’. These are gardens that are located on the edge of the river. People who live in this part of Ijlst have to cross the road before they can relax in their garden next to the river. 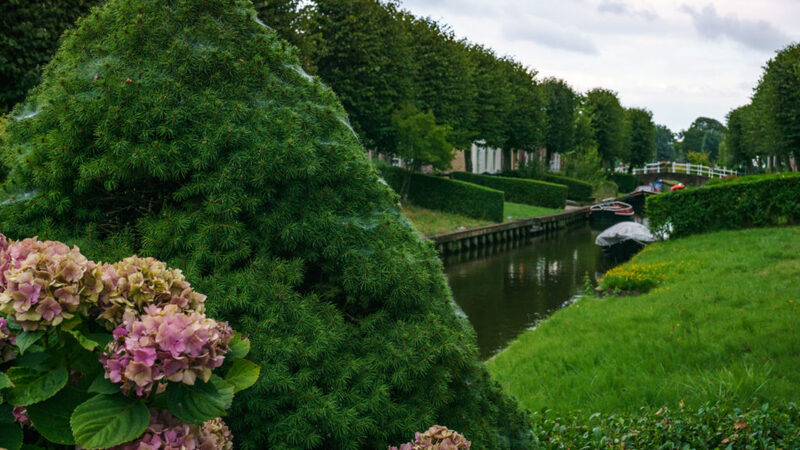 This is one of the only cities of The Netherlands that still has these beautiful gardens, so it’s one of the things you must visit when you’re in Ijlst. How to get to Ijlst, Friesland: You have to get to the Frisian city of Leeuwarden first. From Leeuwarden train station you take a train in the direction of Stavoren and get off at station Ijlst. From Leeuwarden to Ijlst will take you around 30 minutes. Montreux in Switzerland is a chic city nestled on the shores of Lake Geneva, surrounded by vineyards, with a stunning backdrop of the Alps. 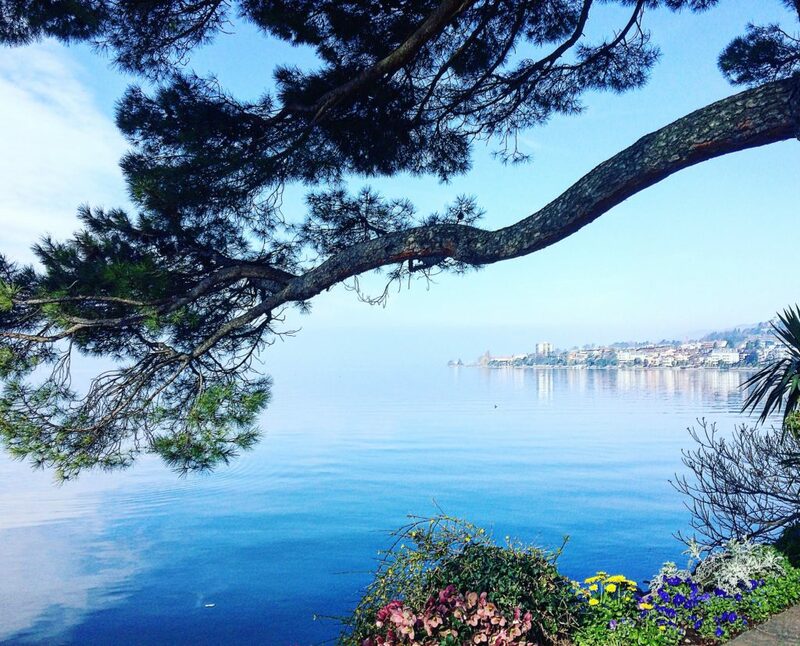 Famous for it’s jazz festival every June/July, it’s easy to understand why visitors fall in love with Montreux. Peaceful and serene there’s nothing better than a simple stroll along the beautiful lake promenades, some of the finest in Switzerland. A visit to the lakeside medieval Chillon Castle will take you back in time, whilst those wanting to cool off can enjoy a dip in the lake in one of the many swimming platforms. Queen fans – check out the 3 metre Freddie Mercury statue in Place du Marché on the lakeside or visit the excellent free museum ‘Queen Studio Experience’. Freddie Mercury settled & recorded in Montreux describing it as ‘peace for the soul’. If hiking or biking is your thing, take the funicular train from Montreux up to Rochers de Nave (1500m) for fantastic views, spectacular hikes and easy access to excellent mountain bike trails. The little village Étretat lays on the French Normandy coast line offers one of the most stunning views of France. 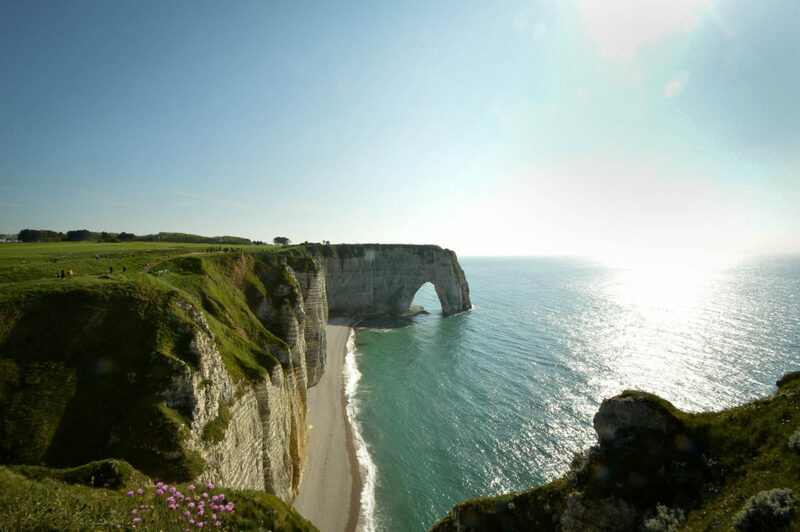 As Étretat is just a 2h drive away from Paris, it’s the perfect destination for a day trip. If you don’t have a car, the most convenient option is booking a day trip from Paris with a tour company. The iconic chalk cliffs are not only a great motive for photography enthusiasts, the hiking trails along the coast upon the cliffs are a treat for every outdoor lover. If you are in Étretat, make sure to try also the local specialties. The region is famous for Galettes – hearty crêpes filled with cheese, cold cuts or a fried egg – Mussels and refreshing apple cider. If you’re lucky and your visit falls into low tide, explore the excavated ancient oyster gardens of Marie Antoinette! Be careful though: the flood often comes in sooner than you think! Cassis is located on the Southern coast of France, not far from Marseille. But the small fishing village feels a world away from France’s second biggest city! 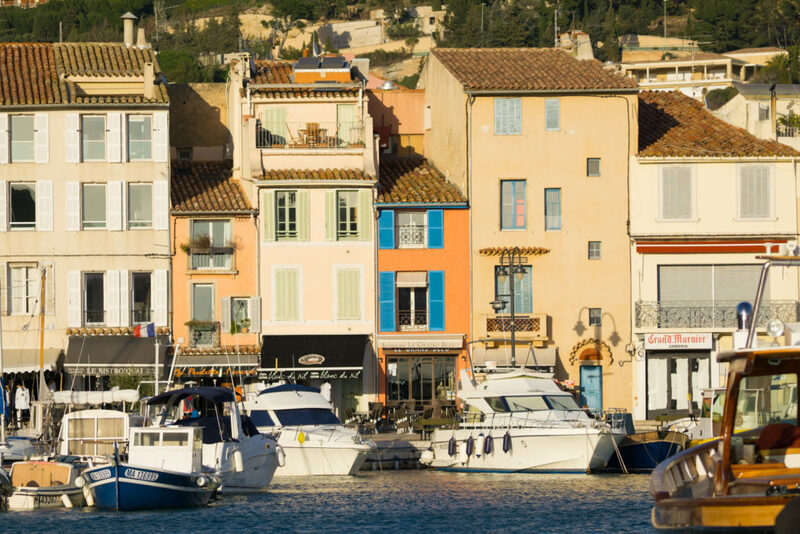 Cassis is often touted as one of the must-see places in Provence, and for good reason. It seamlessly blends all the best bits of the region into a pretty pastel coloured package. You have the grand hilltop château synonymous with villages throughout Provence, the ancient vineyards climbing up the surrounding hills, the quaint port with its bustling quai, and some of the most blissful beaches to relax on. Another aspect that makes Cassis stand out as one of the most beautiful places in Provence is the village’s location between the imposing Cap Canaille on one side and the breathtaking Calanques of Cassis on the other. If you have time, I’d highly recommend taking a hike around the calanques, or hopping on one of the brightly coloured tour boats that will take you on a cruise to see the mighty calanques from another angle. The town of Chartres is about 50 miles from Paris and home to the Chartres Cathedral and a great day trip from Paris. 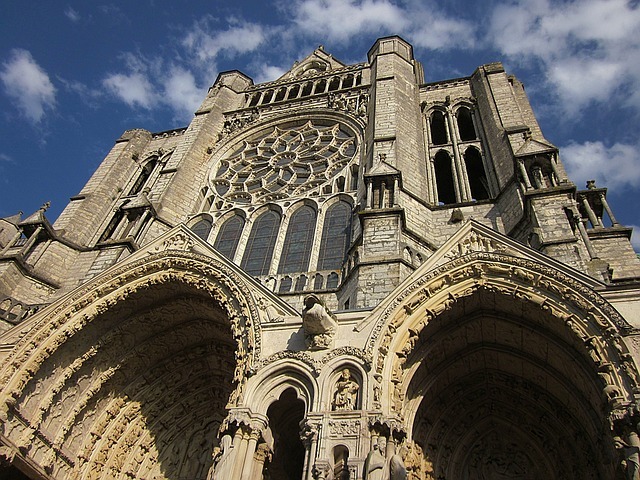 The Chartres Cathedral is a 12th century gothic cathedral that is a UNESCO World Heritage Site. The Cathedral is considered to be one of the most beautiful with its mismatched spires (one dates back to the 12th century and the other to the 16th century) and stained glass windows and it demonstrates all of the gothic features. The stained glass was removed during the Second World War as a precaution against the destruction of war. But don’t only come to Chartres for the Cathedral, it is also worth a walk around the town and the preservation zone. It’s a really cute village and the buildings and streets date back to the 1800s. You can go to the visitor centre and rent an audio guide and learn about the history of the city. C’est tres bon! Chamonix is one of the most beautiful places in Europe. Close to the borders of France with Switzerland and Italy, this charming alpine town is surrounded by Europe’s tallest peaks. The Mont Blanc stands at 4,810 m and you can get very close to it by taking a cable car to the Aiguille du Midi. The 20-minute cable car ride is an adventure in itself and will take you into a different world. The air is thin, it’s really cold even in summer and you get the most breathtaking views over the French Alps. In this European triangle, the white peaks soar and getting so close to it is a fantastic experience. 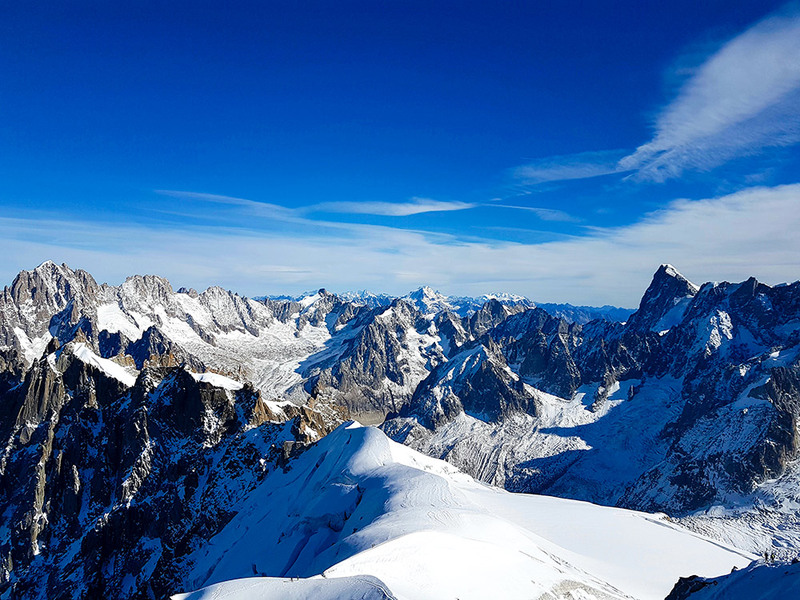 Mountains are majestic and dramatic, and Chamonix is a perfect place to get close to the top of Europe! 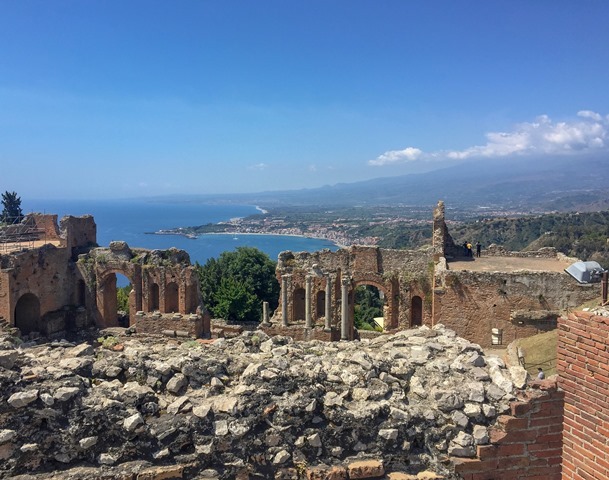 Cobblestone streets, crumbling ancient ruins and panoramic sea views… does it get any more beautiful than Taormina? This charming little Sicilian town, perched on the side of a mountain, really does have it all. From its historic Greek ampitheater, with Mount Etna rising up in the distance, to its maze of charming piazzas and historic alleyways, this is one European town worth stopping for. If you have just a few days to spare, be sure to try some of the world-famous gelato; head to the sea-front for a glimpse of picture-perfect Isola Bella; and hike up to Castelmola for some of the most spectacular views on the island. A Small-town village with gorgeous panoramic mountain views. A countryside located near the scared mountain, the Monte Grappa. Seren del Grappa is a comune in the province of Belluno, located in the Italian region of Veneto. The perfect getaway to experience an authentic Italian village. Here you can enjoy mountain hiking trails, either by foot or by bike! Taste the local cheese and enjoy the most delicious homemade Italian food. A place for history buffs too, as you can visit scenes from the battle of Monte Grappa, during world war one. A visit to this village is not complete without viewing the beautiful thirteenth century church of San Siro. Seren Del Grappa is located 70km northwest of Venice, and 7.4km from the nearby town of Feltre. A popular transportation route is to take a train from Venice to Feltre (1 hour and 45 minutes) then take a local bus into Seren Del Grappa. Nearby airports include Asiaog airport (28km) and Belluno airport (37km). Santa Teresa di Gallura sits on the northern coast of Sardinia. Warm-hued pastel houses rise from the Italian island, but the scenery is most striking. Although the small town is relatively sleepy, it’s easy to see why people visit this city to unwind. Nature lovers will enjoy wandering around the trails. They stone paths are not too challenging, but they reward with uninterrupted sea views. When you hike up away from the beach-goers at the bottom sandy Rena Bianca, you can catch a breeze as you watch the turquoise water transition into a deep cobalt blue. Like in any Italian city, Santa Teresa is great place to sample every possible gelato flavour and fill up on pasta and pizza. However, the fresh seafood is really stellar. 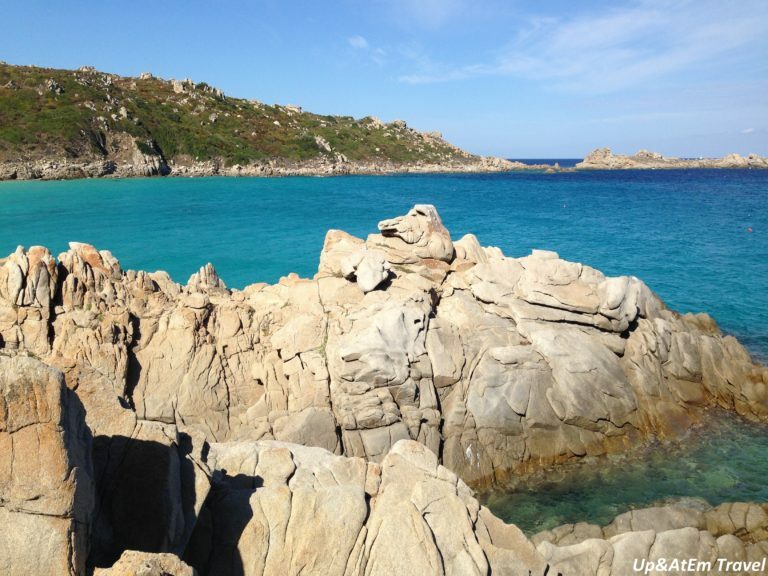 To arrive at Santa Teresa, land in Sardinia’s Olbia airport and drive or jump on a coach. Perched high above the Bay of Naples, looking down over azure blue seas, Capri is a charming town of cobbled shady streets and traditional white washed buildings. Purple bougainvillea and wisteria cascade over walls and sway in the warm sea breezes. 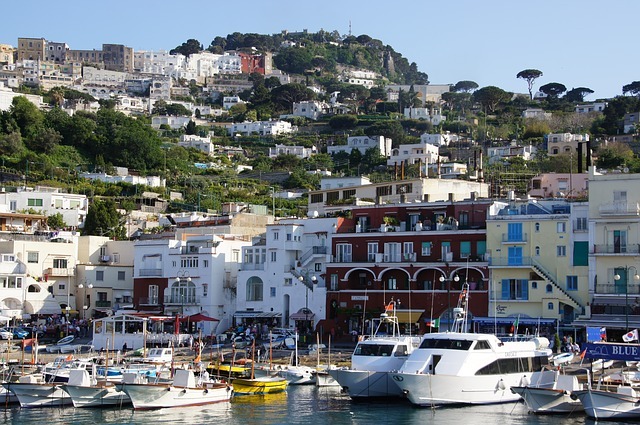 You arrive in Capri via the port at Marina Grande. Here you take the funicular to the town and begin taking in those famous panoramic views. If you can, venture away from the viewing terrace beside the funicular and wander towards the Piazettalined with chic cafes perfect for a morning coffee or evening aperitivo. Continue along the winding streets until you reach Giardini di Agosto. This small park has perfect views of the famous Faraglioni rock formations. I prefer the rustic and quieter grounds of Certosa di San Giacomo monastery where you can enjoy the same scenes but enjoy the beauty of Capri in peace. Domancy has to be one of the most picture perfect places in Europe I’ve ever had the privilege of visiting. 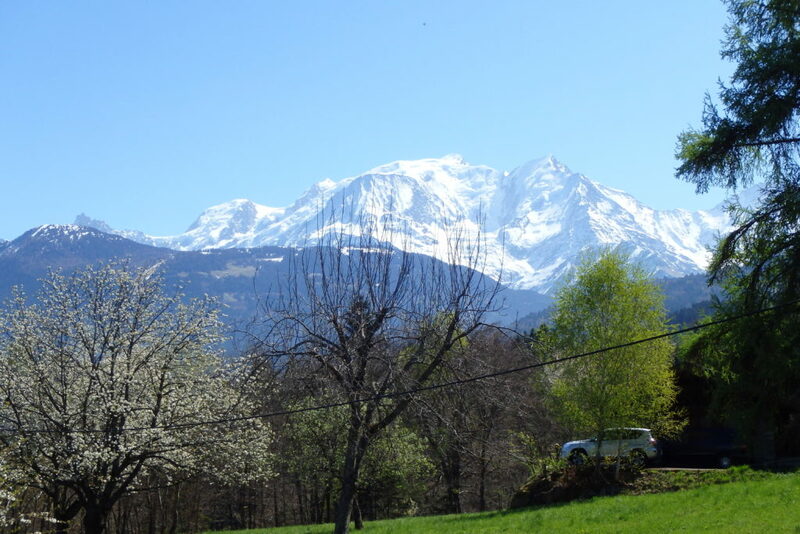 A tiny village of around 2000 inhabitants, it is located in the Alps of South Eastern France and gifts the lucky onlooker stunning views over the majestic Mont Blanc and surrounding mountains. What to do here depends on the season, but I stayed in Spring, when walking and wine tasting seemed the most appropriate daytime activities! You could spend an entire afternoon just drinking in and enjoying the views and clean mountain air though: mountains and valleys rise and fall in mindboggling scale all around. It is truly beautiful. Of course, you could also drive the short distance to Chamonix, the famed ski resort that’s not too far away. Or, if you’re feeling more adventurous, you might consider throwing yourself from a mountain top, with the wings of your paraglider suspending you high above this wonderful place. Zabljak, Montenegro is one of the most underrated destinations in all of Europe, and certainly one of its most beautiful. Located 3 hours from the Insta-famous coastal town of Kotor, Zabljak is a true hidden gem waiting to be discovered by intrepid travelers. It’s at the gateway of Durmitor National Park, the park with the most impressive mountains I’ve seen in all of Europe, including the Swiss Alps. It’s also located just a short walk from the stunning Tara Canyon and the famous Tara Canyon Bridge, one of the most beautiful bridges in the world. But the town of Zabljak is also stunningly pretty, with quaint mountain houses, wide open meadows with wildflowers strewn everywhere, and rural charm everywhere you look. Put simply, it’s a place that deserves far more love than it gets, but the fact that it’s such a well-kept secret is a large part of its charm. 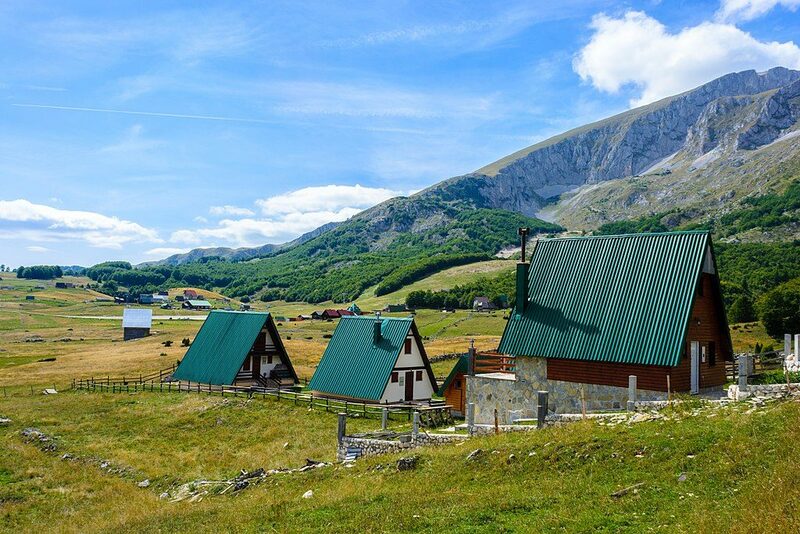 If you veer off the beaten path a bit when you visit Montenegro, you’ll find yourself well-rewarded in Zabljak. Iceland is beautiful no matter where you are. I mean the landscape is just, well, breathtaking. However, if you can get yourself to East Iceland into the stunning fjords, you may stumble across one of my favourite picturesque villages Reydarfjördur. Set at the end of the Reydarfjördur fjord, this village of just over 1000 people was home to my favourite campsite throughout Iceland. To camp alongside a mountain and a quaint lake with warm showers made it perfect. Also, the drive along the fjord to Eskifjördur and then over to the mountain to Neskaupstadur was that incredible we did it twice. 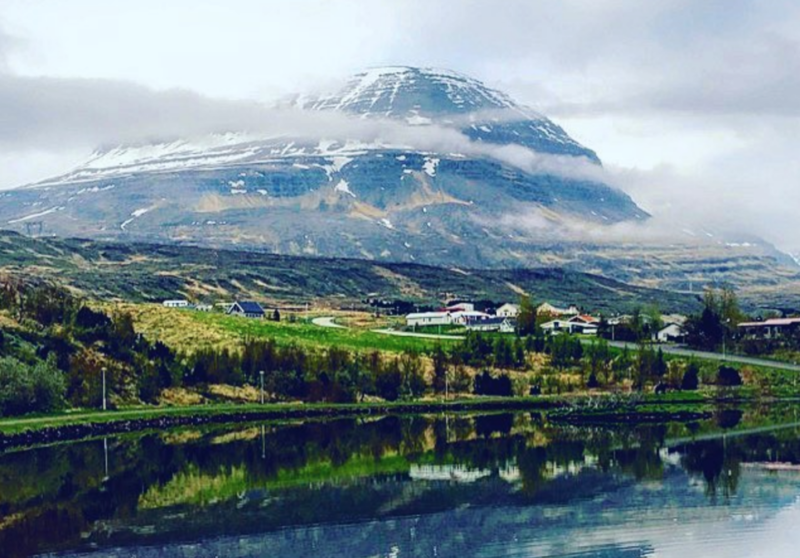 Naturally, therefore having a car or campervan would undoubtedly be the best way to explore and visit Reydarfjördur if you are lucky enough to get yourself to Iceland. De Haan is a dreamy coastal countryside in the Flanders region of Belgium, about 13km away from Brugges. Tucked away from the tourist crowd, this place looks like a picture straight out of a fairytale book. 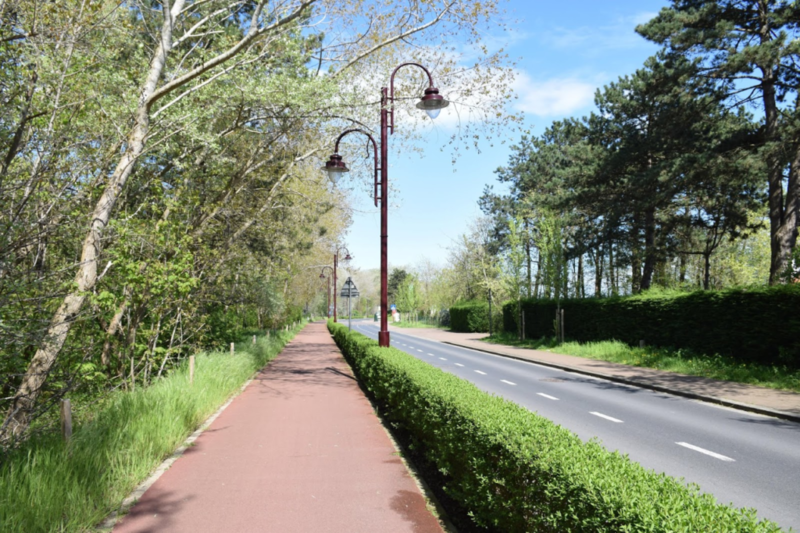 With the North Sea on one side and the woodlands on the other, the quaint little town offers a peaceful escapade from city life. We had no idea of this place when we went there, but it was love at first sight. The pretty sidewalks lined with trees, the stunning architecture of the houses, the farmlands, the white sand beach – everything looked as if they were just painted by the Divine. The dune woodland of De Haan is a nature park with 152 hectares of coastal nature consisting of trees that were planted more than a century ago and a separate track for horse-riding. Did you know, Albert Einstein shifted here for a while during the Nazi Regime? Villa Savoyarde, as the house is named, happens to be a famous landmark of De Haan. 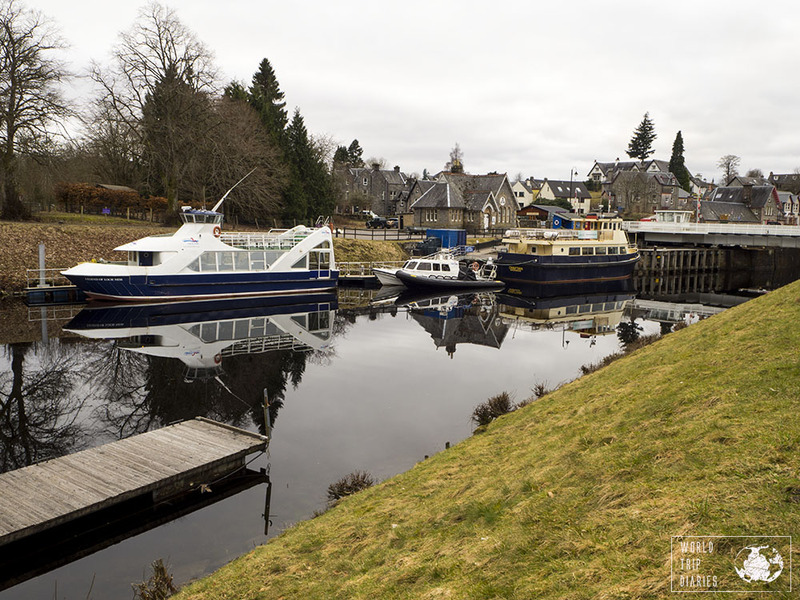 Fort Augustus is a lovely small town in Scotland, and it’s where the famous Loch Ness starts (or ends, depending on where you come from). The cobblestone streets, the beautiful stone wall houses, the canal and, of course, the lake (or Loch) are not to be missed. They even have a statue of Nessie, the Loch Ness monster, there. There isn’t much to do there besides enjoy the sight, but grab a Fish & Chips and have it by the lake while looking for Nessie. It’s a lovely stop for those wanting to know more about the lake and the monster. And it’s a functional stop for those traveling between Edinburgh or Glasgow to the northern parts of the Highland. You can reach it by train or bus, or car if you’re driving. It’s definitely worth a stop! Garmisch-Partenkirchen is ski town in Germany near Zugspitze mountain. 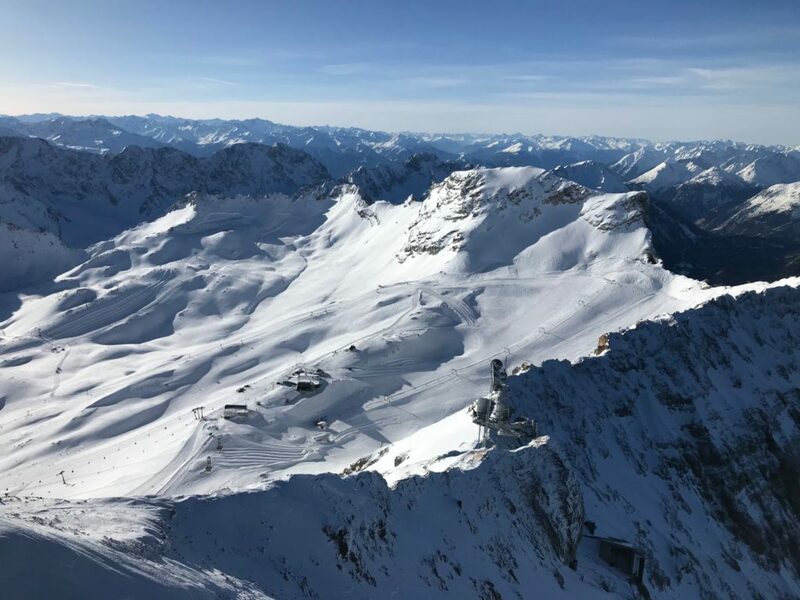 Sharing a border with Austria, Zugspitze is the highest point in the country and part of the Alps. The bluebird sky is pierced with white peaks and the landscape will take your breath away. You can walk right across the border without a passport to experience both countries. It’s an easy train ride from Munich and a great way to get out of the city to take in the picturesque nature. If you don’t ski, there are lookout points, toboggans for rent, and even a secret ice hotelhidden atop the mountain where you can stay in an igloo or enjoy a drink and fondue. Kuusamo, Finland in an area in the northeast of Finland, more or less considered Lapland by most. The area is absolutely perfect during the winter months as you will feel silence and relaxation in a way you never thought possible. 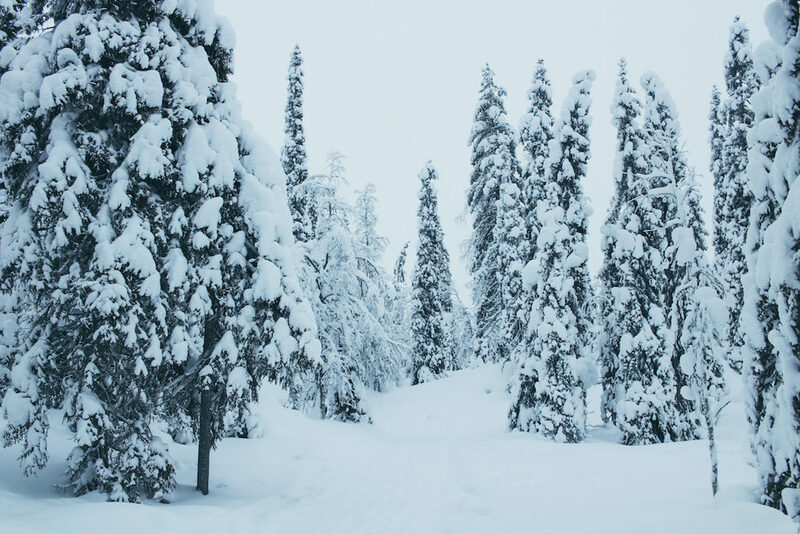 There is a popular ski area called Ruka there, which is renowned by Finns as being one of the premier spots for the sport in their country. There are also several cabins and places to stay while there- and many offer delicious local and wild meals to their guests. Kuusamo, known or being a region brimming with brown bears during the warmer months, is located right along the Russian border. Kuusamo immediately became one of my favorite places in Finland. Hopefully this list introduced you to some beautiful small towns to visit in Europe. What do you think are the most beautiful European towns? Disclaimer: This article contains affiliate links. This means that if you make a booking after clicking on these links, I may earn a small commission (at no additional cost to you). The Savvy Globetrotter is a participant in the Amazon Services LLC Associates Program, an affiliate advertising program designed to provide a means for me to earn fees by linking to Amazon.com and affiliated sites. Small towns are often underrated when visiting Europe but they can be so picturesque and culturally rich! I need to spend more time in France, my home country!